The HS7 range of studio monitors from Yamaha offer a DJ / Producer a professional quality studio monitor at an amazing price. The HS7 has a 2-way bass-reflex bi-amplified nearfield studio monitor with 6.5" cone woofer and 1" dome tweeter. Considering purchasing the Yamaha HS7? Have questions? Ask people who've recently bought one. Do you own the Yamaha HS7? Why not write a review based on your experience with it. Moved up to these from a smaller set of speakers. Still running them in really bit they do sound fabulous, as, indeed, was the DJKit price. Happy Easter bunny !!! My first studio monitor i cant wait! I already owned these speakers before and know that they are perfect for me and the size of my room. These are just perfect. I took a while deciding between loads of monitors, but finally went with these. The clarity is amazing. Well made, packaged well and DJKIT as always prompt delivery and excellent service. The speakers have a warm sound and the base its more that i expected,i recommend this speakers for the lovers of disco,rock,techno and house music,but also for the ones who want to create music or mix music.they are quite power full,i didn,t pass 50% of the volume knob,and my housemates came at my door:)).i,m not a specialist,this is my opinion,but if you search on the net you will find that they are in top 10 of recommended studio monitors. 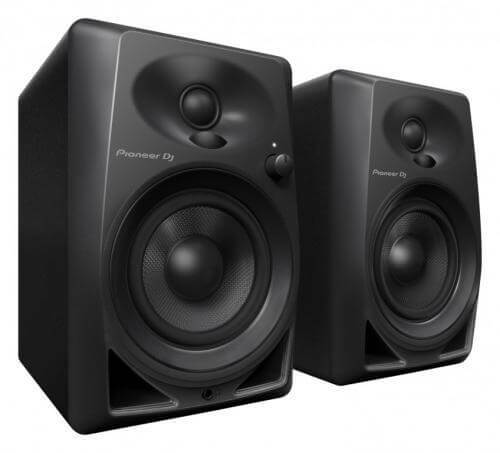 The first set of studio monitors i ever owned were the classic Yamaha NS10's and these brand new speakers are a worthy update. I went for these over the HS8 model as these ones go down to 43htz which is plenty of bass for most types of audio production. The high end on these is superb thanks to the brand new tweeters Yamaha have introduced across the HS range and the bass is fat and punchy. I have only had these a couple of days but so far i have been completely blown away. I have tested wav files, mp3 and cds on these and now started to produce and mix with them. I cannot recommend these monitors enough. Seen a video for Yamaha HS7 online or have you own video? Check out Yamaha HS7 on DJkit.com!